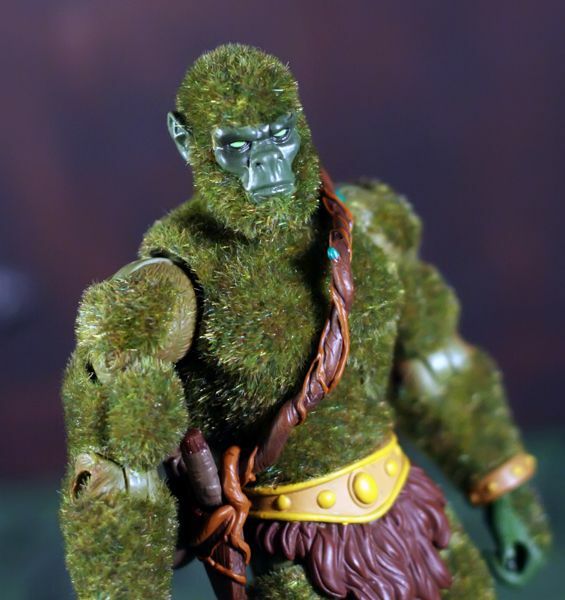 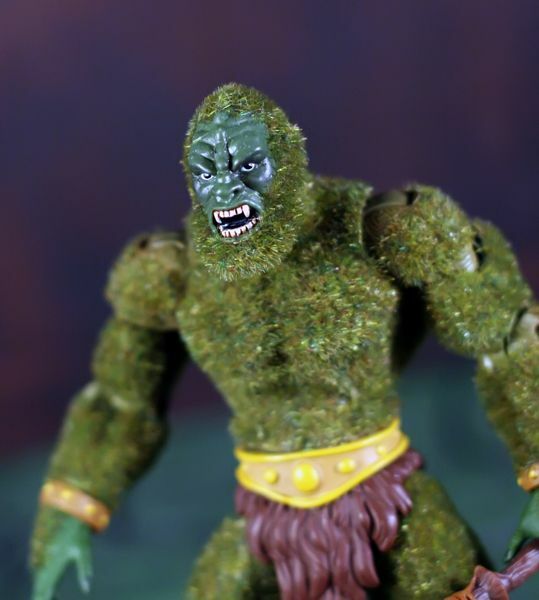 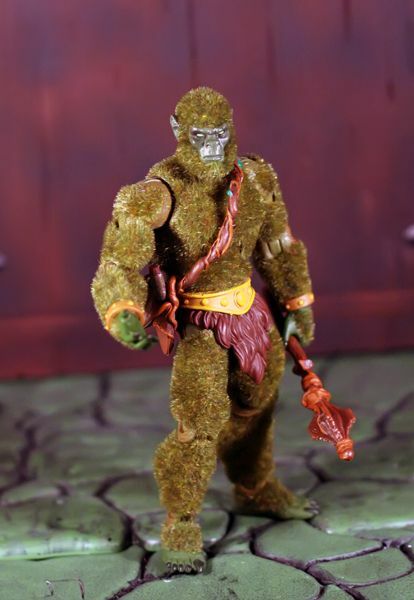 Thought of for many centuries to be an urban legend, the creature called “Moss Man” was, in fact, an ancient Eternian nature god and ally to King Grayskull. 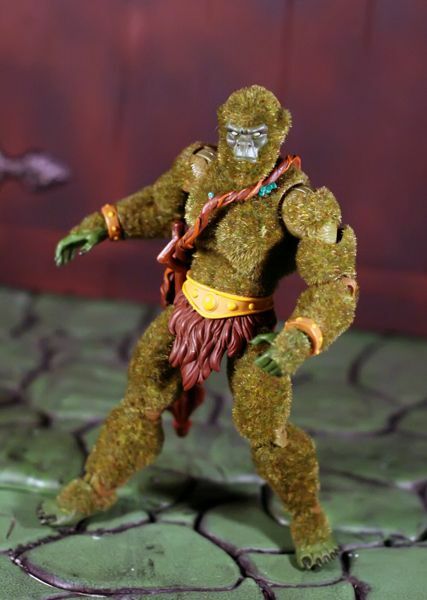 During the rise of Skeletor and the subsequent battles with the Snake Men and Horde invaders, Moss Man often joined forces with the Masters of the Universe, helping to protect freedom for all forms of life. 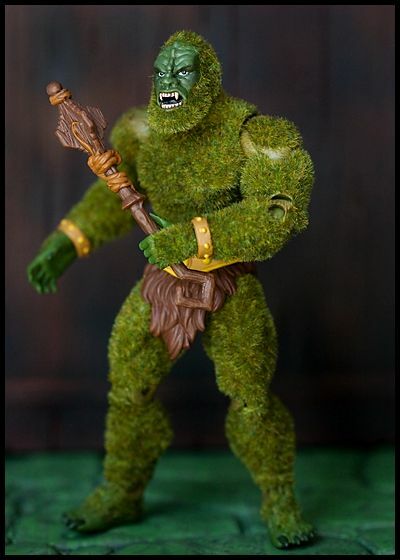 He was instrumental in helping them win the Second Ultimate Battleground, using his powers over plant life and his “fur” of forest green to fool and frustrate his wicked foes. 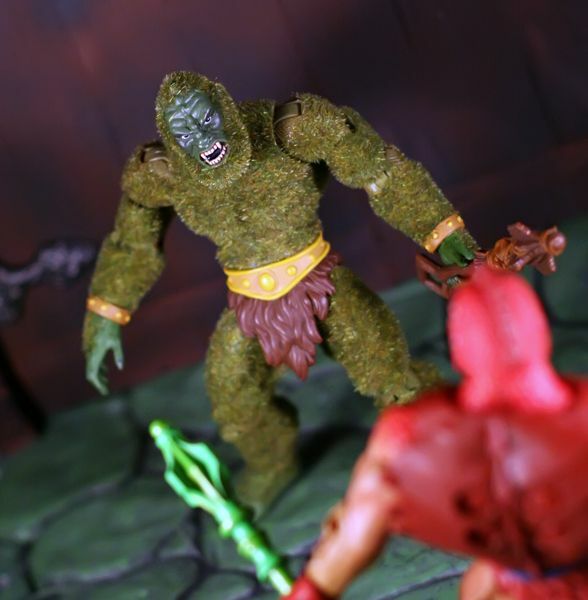 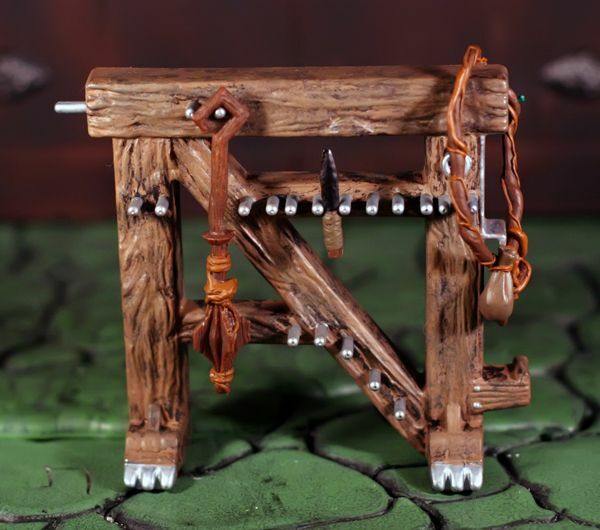 Accessories: Nature Mace, Removable Vine Sling, Stone Knife. 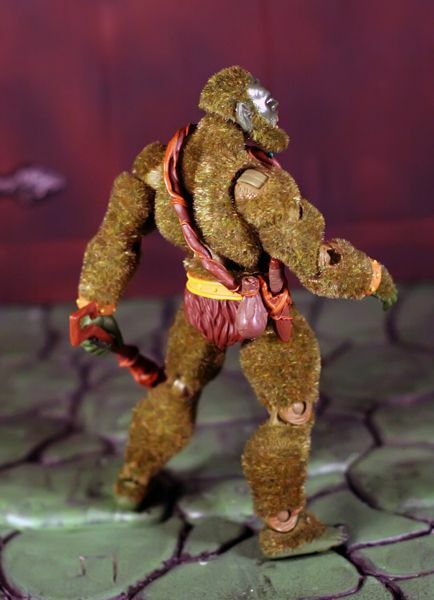 Additional Parts: Moss Man includes an extra head representing a more "modern" take on the character. 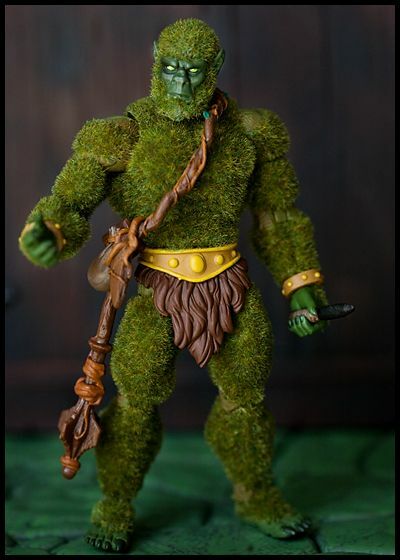 Variations: Moss Man was also available with flocked ears. 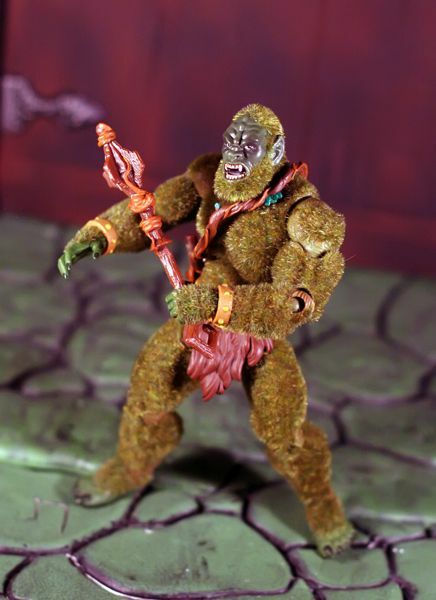 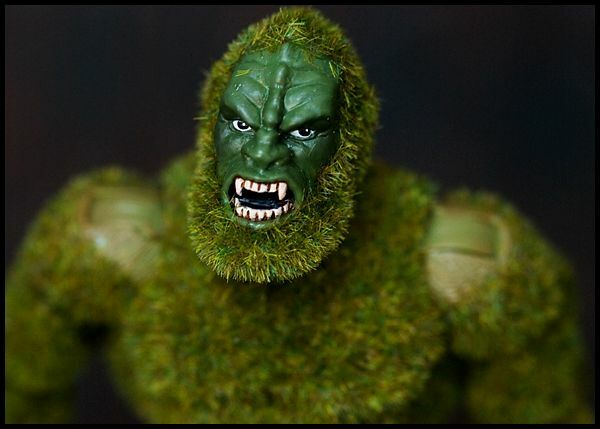 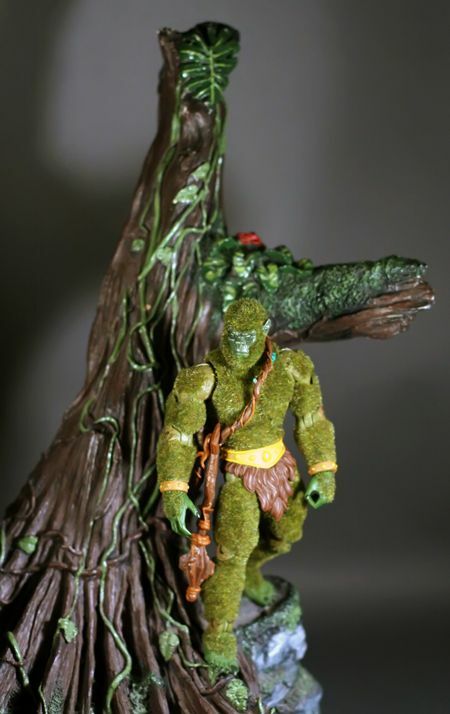 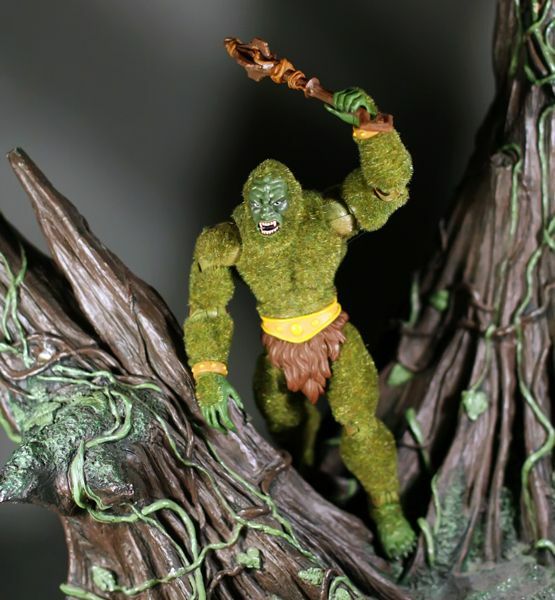 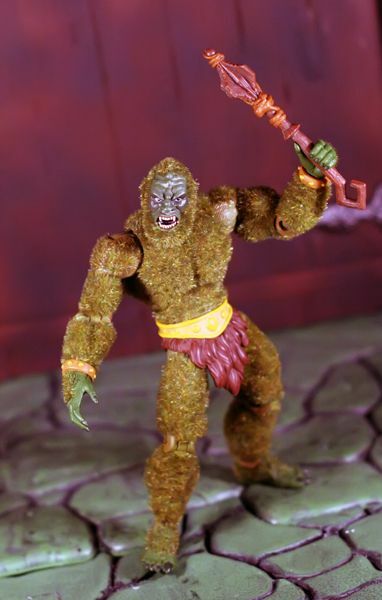 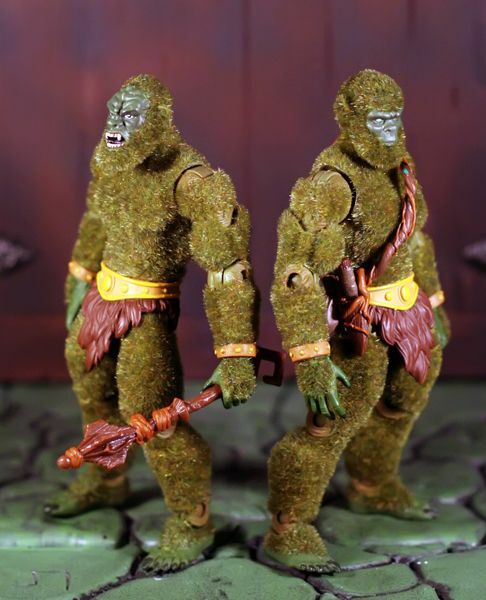 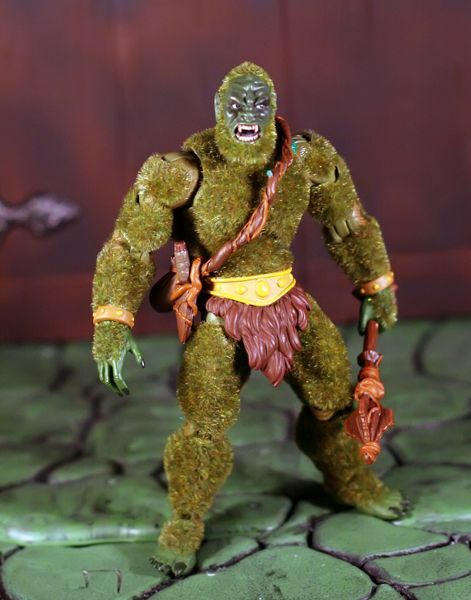 You should take a pic of Mossman raising out of the Swampthing Lair from the old Kenner line! 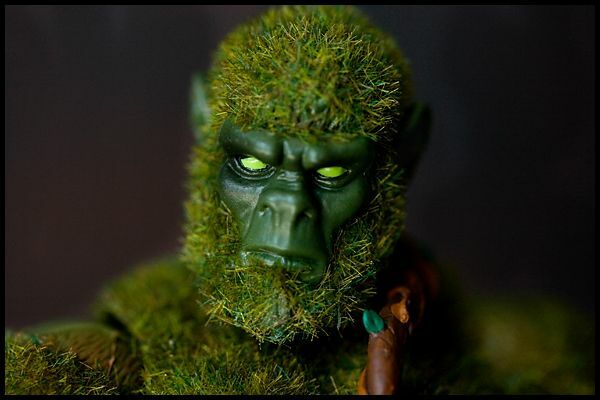 And ironically my CAPCHA was Mosses to post this!